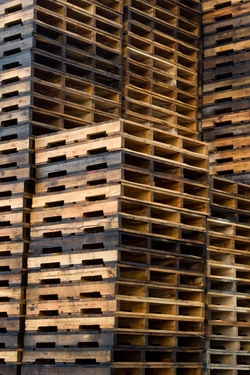 Blend-N Concepts knows the importance of pallet inventory. That's why we have invested time to learn the national pallet industry in order to provide the best services with our pallet management programs. The techniques we have developed will save companies manpower expense for handling pallets as well as dock space. We sort by hand, not machine, allowing us to adapt to smaller surroundings providing our customers with valuable space for their needs. Sorting by hand also provides increased accuracy saving our customers from the expense of purchasing pallets. If pallets should need to be purchased, our networking experience and established relationships allow us to purchase pallets below market value.